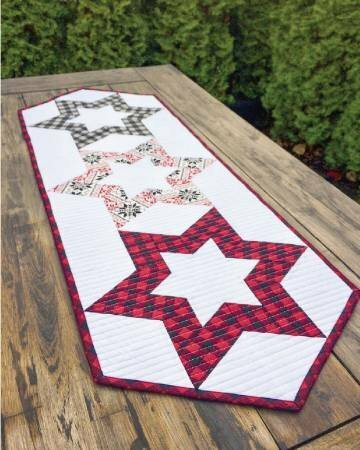 This fun runner is made from Diamond Blocks using a Creative Grids 60 degree Diamond Ruler. Students will learn how to cut the diamonds and how to assemble the runner without Y seams. Perfect runner for the 4th of July or start sewing for Christmas and make a beautiful gold stars in the center. Students should be familiar with a rotary cutter and be able to sew 1/4" seam. 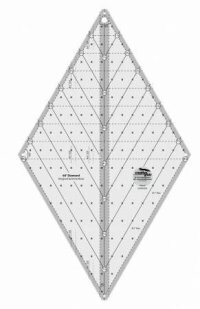 Basic sewing supplies needed, fabrics, "Hollow Star Pattern" $3.50 and Creative Grids 60 degree diamond ruler $29.99. Don't forget we offer 15% discount on class supplies. Includes class fee. Supplies purchased separately. We offer a 15% discount on class supplies at The Sewing Palace.